The best way to get to know a community is by scheduling a tour. See the facilities, meet the staff and residents, and get a feel first hand what it's like to live at Gull Creek Senior Living Community Assisted Living. Five miles to the beach or Assateague Island, six miles to Ocean City or less than two miles to downtown Berlin: For seniors seeking a picturesque and amenity-filled Maryland setting in which to retire, look no further than Gull Creek. We are a full-service senior living community, which means you have everything you need to create a vibrant retirement that has days filled with your to-dos instead of work and household chores. And by joining our community, you are gaining the peace of mind that comes with having supportive services close at hand when they are needed. Gull Creek is a locally owned and operated senior living community. When seniors join our community, they will find a community with a welcoming atmosphere and staff who regard everyone with mutual trust and respect. Our apartment homes have all the conveniences of a house without the upkeep and maintenance! A full-size kitchen with a dishwasher and oven, a washer/dryer, a patio or balcony and in-suite climate controls are a few of the features. Safety features that provide peace of mind include an emergency call system and an ADA-equipped bathroom. And you are welcome to bring your pet along to really make the space feel like home. In keeping with offering relaxed retirement living, our community is home to a beauty salon/barber shop, an inviting library with computer center and landscaped grounds with walking trails. Daily activities are held throughout the day which you are free to join, and favorites include exercise classes, movie nights and trivia. 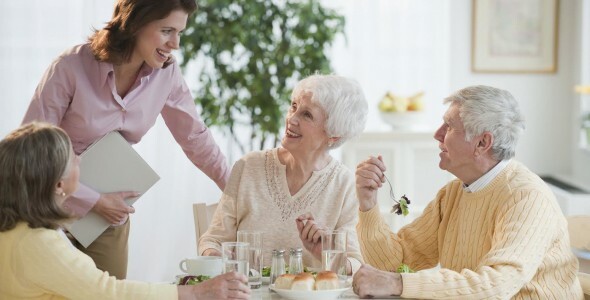 Your retirement at Gull Creek also includes on-site security, complimentary shuttle transportation to shopping and errands, and restaurant-style meal service in our community dining room. You can customize your dining menu to meet your needs. Housekeeping and laundry service is also handled by our staff. For seniors in need of an extra helping hand with life's daily chores, we also provide assisted living services. Our caregivers are available around-the-clock to help with medications and other personal tasks. Residents requiring memory care for Alzheimer's or dementia receive personalized care in our specially designed neighborhood that offers a nurturing setting. After a lifetime of working, it's time to retire and enjoy life at Gull Creek.